William Jessup University began during the Great Depression of the 1930’s. Dr. Eugene Sanderson, who had already started three other colleges, saw the need for a Bible college in the greater San Francisco Bay Area. He purchased two large houses on adjacent lots at Fifth and San Carlos Streets in San Jose, across from the campus of San Jose Teachers College (now San Jose State University). Over the course of several years, he improved the property and built a chapel for the faculty and student body yet to come. In January of 1939, Sanderson asked William L. Jessup to carry on the vision and start the College. 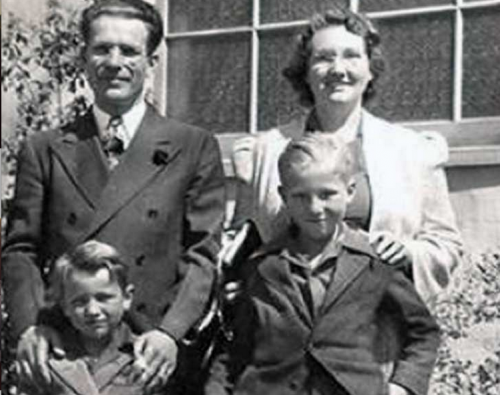 Bill and his wife, Carrie, moved from Visalia to San Jose to open the College. 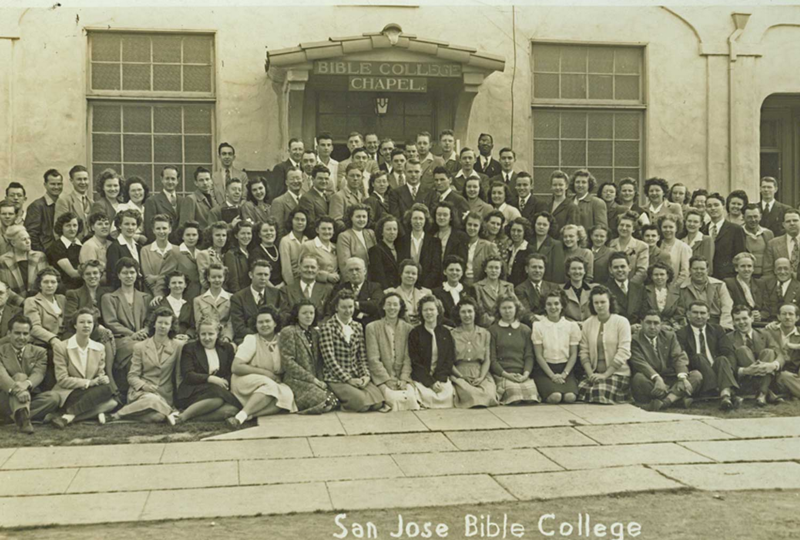 On September 20, 1939, classes at San Jose Bible College began with fourteen students. The curriculum focused on the study of the Bible and preparation for church vocations. During the next few years, growth at San Jose Bible College created the need for a new and larger campus. Seven and one-half acres were purchased at Twelfth and Virginia Streets in San Jose. The first three buildings were erected and put into use by February 1951. The first on-campus housing, Beach Memorial Hall, a dormitory for women, was dedicated in 1960. During the 1960s and 1970s new buildings included a second dormitory, a new cafeteria, the Memorial Library, the Tiffin Center, a multipurpose gymnasium, and a classroom building. The College received accreditation with the Accrediting Association of Bible Colleges (now the Association of Biblical Higher Education) in 1962. Dr. Bryce Jessup, the son of the founder and the Colleges fifth president began his leadership in 1984. He has led the University to its greatest growth in enrollment, facilities, and curriculum. Multicultural programs focusing on leadership training were added to the curriculum for students from various cultural heritages in and around San Jose. Students from more than thirty different birth countries enrolled. The School of Professional Studies (formerly Degree Completion Program) for working adults was added in 1996 to meet the educational needs of adult learners and now comprises nearly one-third of the student population. The 125-acre property purchased in Rocklin included a striking, award winning office and warehouse facility for the Herman Miller Corporation, designed by world-renowned architect Frank Gehry. The renovation for campus use received the Best Rebuild/Renovation Award from the Sacramento Business Journal in March 2005. 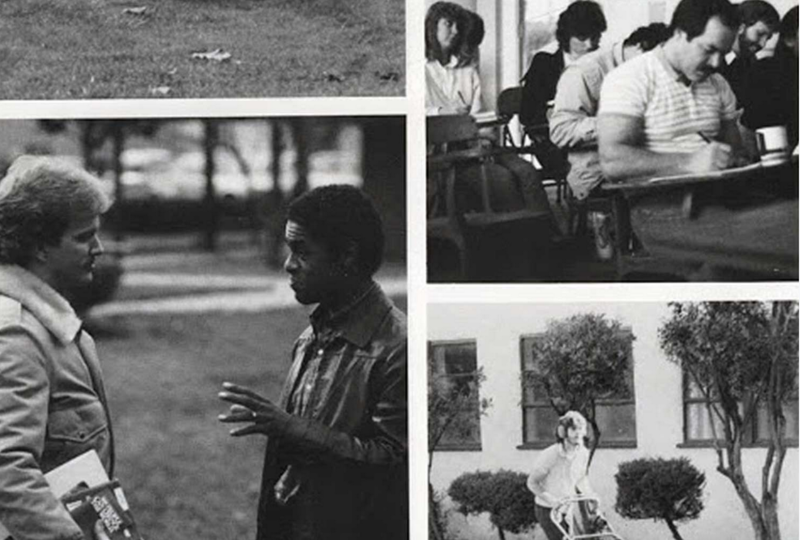 When William Jessup University started classes in Rocklin, it did so as the first private four-year university in the greater Sacramento area and the first evangelical Christian College between Fresno and Redding. William Jessup University received accreditation in 2002 as San Jose Christian College. 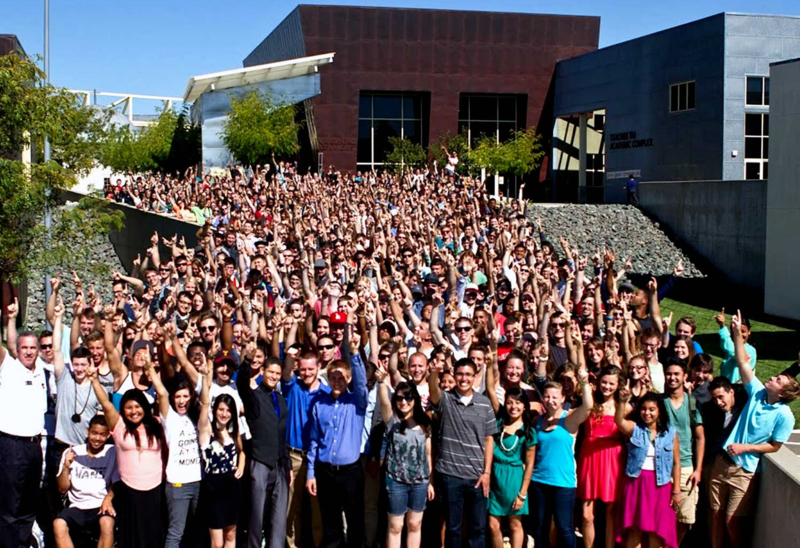 The name was changed to William Jessup University in 2003, and the campus was moved to Rocklin, California, in 2004. Since arriving in Rocklin in 2004, the 130 acre campus has become host to over 20 degree majors and over 50 programs. In 2014 we had close to 1400 people take classes at our campuses in Rocklin and San Jose (evening classes). The University has doubled in the past three years and we believe our best days are just ahead! Bryce served as president of William Jessup University for 25 years. During his presidency, the University substantially improved its financial position, achieved regional accreditation, significantly increased enrollment, broadened the curriculum, and moved to Rocklin, CA. 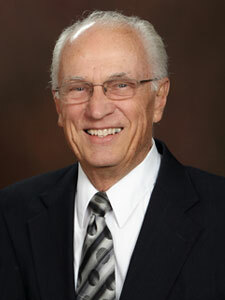 Dr. Jessup has worked as a professor, pastor, coach, and Dean of Students. He has been a significant leader in Bay Area pastors groups, the Billy Graham Crusade, and ethnic reconciliation groups. He has published numerous articles on leadership and church issues, has served on many non-profit boards, and was named “Man of Valor” by the Racial Reconciliation Committee of Santa Clara Valley African-Americans in 1999.